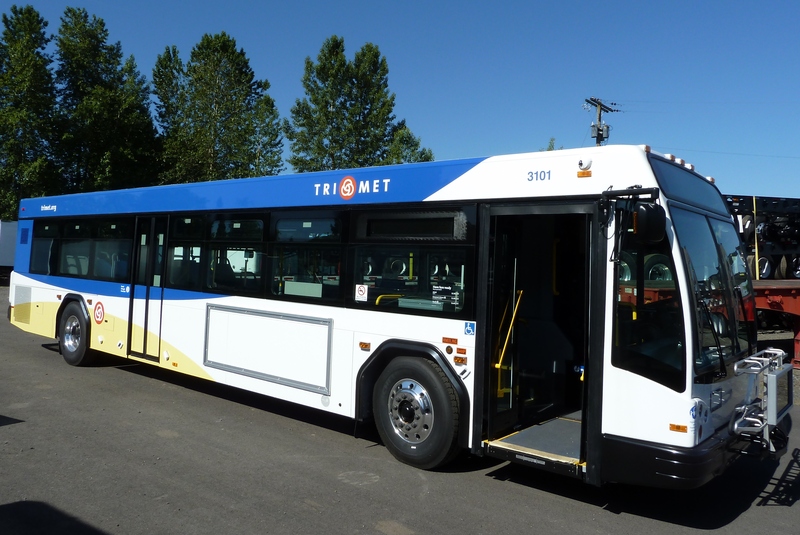 In less than a month, TriMet riders will begin to see the first of 70 new buses to be added to service this summer and fall. The new buses referred to and numbered the 3100-series are more fuel and emissions efficient and include operator and rider improvements. Gillig, the manufacturer out of Hayward, CA will assemble one bus a day. 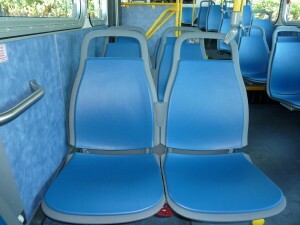 TriMet will take delivery of three to five buses per week for roughly 18 weeks this summer and fall. It will take TriMet staff two weeks to get them service ready including DMV title, license and registration. Like the buses delivered last year, each bus comes with standard air conditioning, automatic stop announcements, easy-to-clean vinyl seats and interior surfaces, larger windows, handrails and a gently sloping floor at the rear exit, a next-generation GPS dispatch/tracking system and improved windshield visibility for operators. 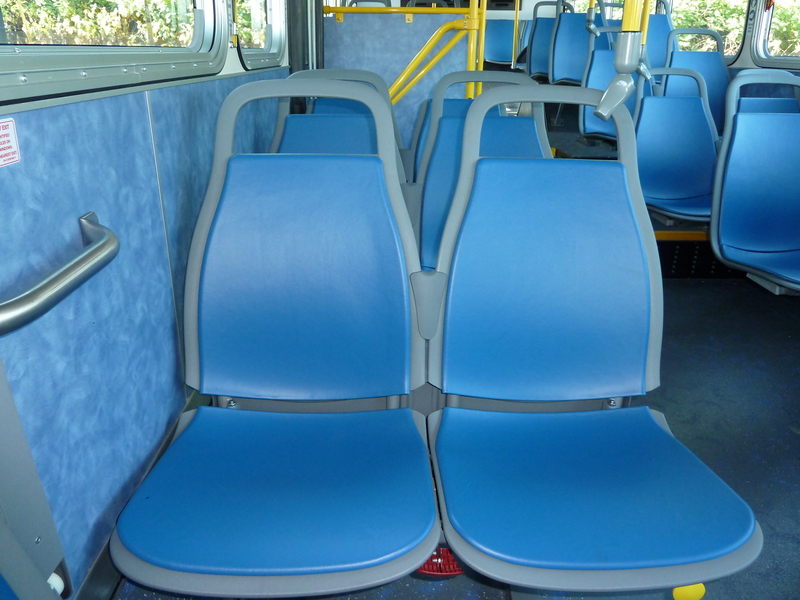 Like all of our newer buses, the 3100-series has low floors for easy boarding and external stop announcements that identify the bus line and destination.